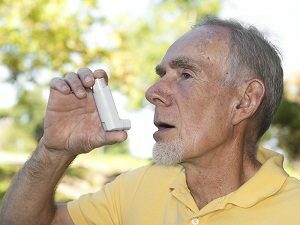 Air pollution doesn’t cause asthma, but it definitely acts as a trigger for many people. This is because the airways of an asthmatic person are very sensitive to particles in the air, whether it’s ozone or particulate matter. These small particles irritate the airways easily and can cause a number of reactions ranging from increased wheezing to a full-on asthma attack in which breathing is very labored. When considering the relationship between asthma and air pollution statistics in Norcross, GA, there are two basic types of pollutants that are studied. The first is gaseous pollutants, with the major source being ozone. Nitrogen dioxide and sulphur dioxide are also part of this. These pollutants result from reactions in burning fossil fuels. The other type of pollutant studied is particulate matter. These are fine or coarse particles that include dust, pollen, smoke, mold, or dirt. Vehicles produce a combination of gaseous and particulate matter pollutants, both of which irritate the airways of an asthmatic. Recent years have linked an increase in asthma attacks with higher pollution levels, so governments and cities have implemented monitoring and alert systems to provide information to the public about air quality. People with asthma should monitor these levels closely in order to reduce the chances of an asthma attack due to high pollution levels. On high pollution days, asthmatics should try to stay indoors as often as possible. However, highly sensitive people should also consider installing air purification systems in their homes not only to help filter out ozone and particulate matter, but to address indoor air quality problems. Homes can have unhealthy air simply due to some of the items in the homes like furniture, cleaners, and other common household items.